Noisy coworkers can be the most annoying of all. You’re not perfect, you’re human. And so maybe you’ve reached the breaking point with the coworker who talks incessantly about nothing in particular, the boot-licking coworker who never misses the chance to flatter the boss, or the coworker whose ring tone you probably hear in your sleep because it goes off all day long with personal calls. You’re human, so admit it: you want to scream, “Cut it out!” But you know that losing your cool will only draw attention to your behavior – and not the annoying behavior that set you off in the first place. The solution? Learn some coping skills so that you can tune out that annoying coworker and get your work done in peace. Tune out the non-stop talker or the one whose voice you wish came with a volume control button by politely excusing yourself and walking away. After all, talkers usually crave an audience, and if you deny her one, she may take the hint. Take steps to at least mute the noisy coworker – the one who makes or receives too many phone calls, rustles papers constantly or who can’t seem to enter or leave a room without slamming a door or bumping into a garbage can or file cabinet. Set up your computer to receive streaming from a “soft pop” or classical musical station. This quiet background noise will soon move to the forefront of your mind and help you tune out the noise around you. Sharpen your positive thinking skills in dealing with the annoying coworker whose doom and gloom forecasts or crabby demeanor puts a cloud behind every silver lining. Train yourself to think of a positive thought for every negative idea this coworker utters. Your smile will belie the negative forecast -– and send the message that misery does not always enjoy similar company. Indulge the know-it-all, preachy or egocentric with a swift maneuver: With a smile, say, “Great idea! I’ll think about it” and quickly walk away. By doing so, you end a sermon before it really begins and still give this annoying coworker what she really seeks: flattery. Burn off your frustration with the slacking or underachieving coworker – literally. When this type of coworker gets your blood boiling, turn down the flame by excusing yourself and taking a quick power walk around the building. When you return, you should feel better physically and mentally. Teach yourself the power of affirmations when dealing with the ingratiating coworker who brown-noses the boss. As soon as you hear this coworker launch into a self-serving, gratuitous discourse, force yourself to think about your own talents and contributions to the company. The irony is that the boss probably appreciates your quiet, understated and classy style more than you know. Deflate the “cubicle invader” or the coworker who “just stops by” but then can’t tear herself away by – yes, you’ll have to do it – faking a phone call and walking away. This type of annoying coworker rarely takes a hint, and the more comfortable you make it for her to settle in, chances are the longer she will make herself at home. Nobody wants to be a phony baloney, but a little fakery that helps you to get your work done is excusable. Everyone has different coping skills, so try these tips under different circumstances to find the right fit for you. For example, the boot-licking coworker may drive you to distraction more than anyone else, so a quick power walk may restore your sense of calm better than any other coping technique. 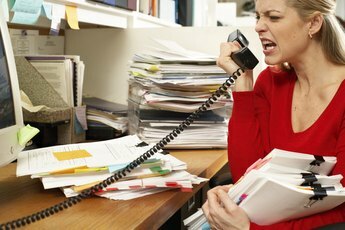 CNN Living: Are You the Annoying Coworker?